Hypoallergenic. Non-comedogenic. Paraben-free. Dermatologist approved. It ranges from $14.99 to $21.99 CAD. I have seen it at many places so it`s relatively easy to find. Available at: Walmart, Shoppers Drug Mart, Rexall, Zellers, and more. On selected packages there is a mail-in rebate of $6. I got this from a Goodie bag from the Toronto Beauty Bloggers Event. I believe this originally came out around Valentines! I still remember going gaga about it and nagging my boyfriend to get this for me HAHA! This is the cutest make up item I've seen made by a US company! Usually, I find Western make up really boring because of the packaging and their marketing techniques. However, this one definately stood out to me. 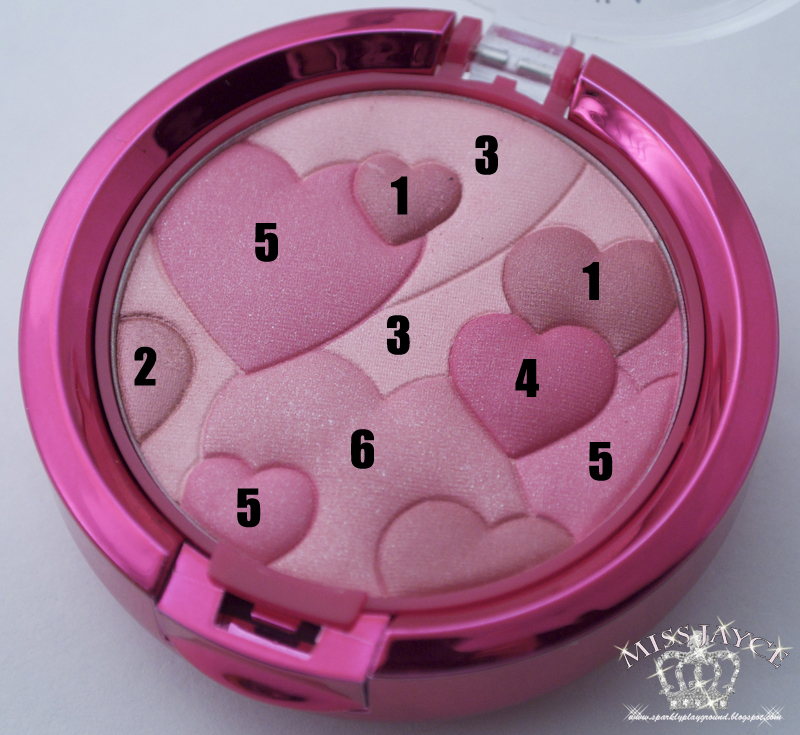 The hearts are FOR SURE cuter than the MAC Quite Cute collection. Do you remember those pointy, evil looking hearts? So let's start with the packaging! 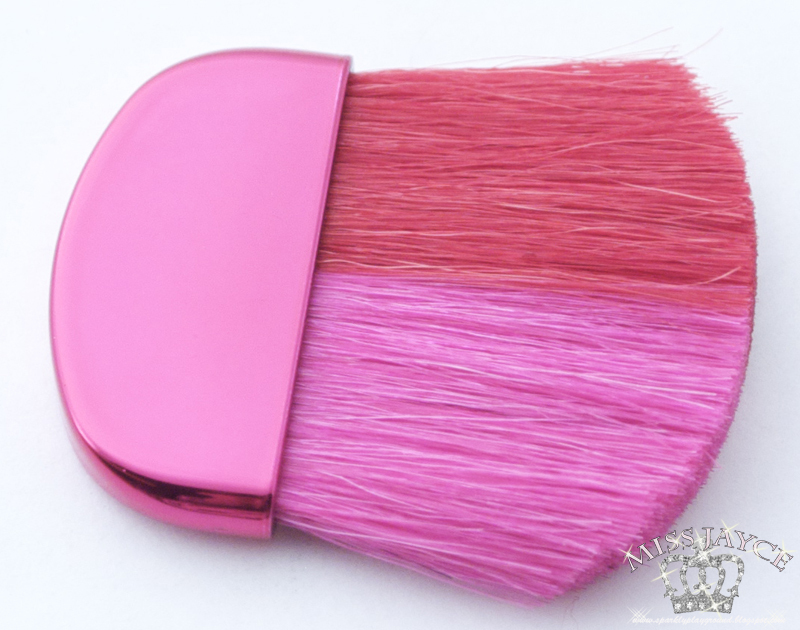 Underneath the blush, there's a mirror and storage for a brush. The bottom of the container there are holes. I love that it comes with a mirror because, when is an extra mirror ever a hassle? 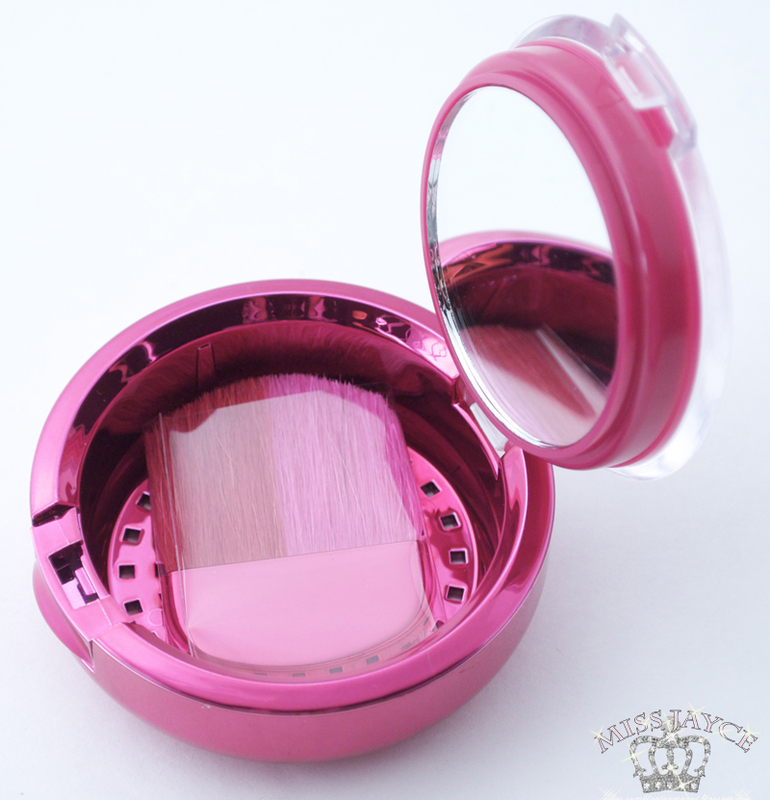 I don't like that it has holes for the bottom though because the residual powders from the brush just goes everywhere. The brush sheds and is not forgiving at all. It looks cute but harsh on skin so I don't end up using it anyway. Thus, the holes in the back of the container don't cause a problem either. The texture is smooth. It is easy to blend and color is buildable. It's shimmery in the pan and even in my swatch because its not blended. Once its on my cheeks, it gives off a very mild sheen almost satin finish. It leaves my cheeks with a healthy glow. It also has scent, not strong for me but I can't exactly tell what scent it is. 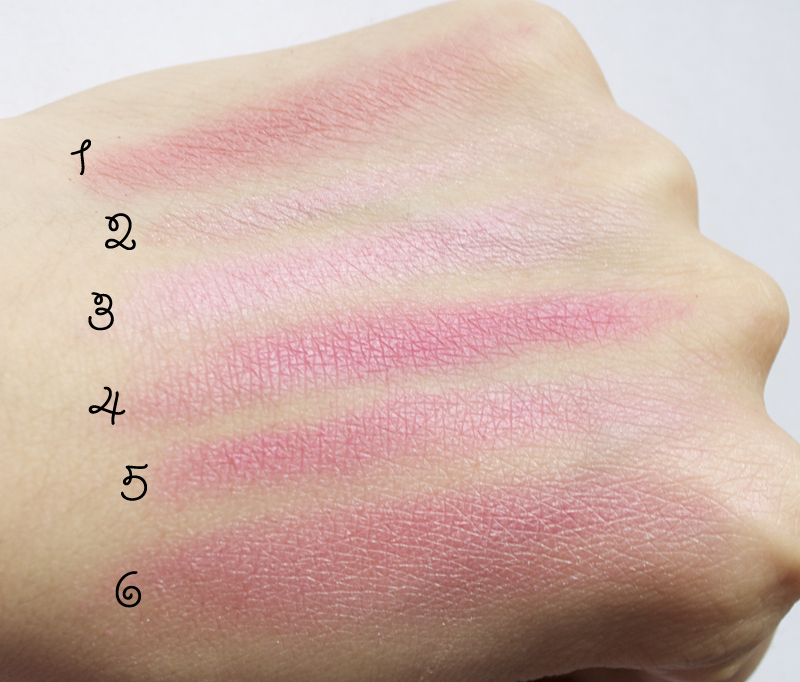 Rose is more true pink, and gives off a perfect rosy pink flush on your cheeks. It's very natural and part of my everyday blush. I do think that this color works well with everyone because of its ability to blend and build. If you are fair, make sure to tap it a few times. 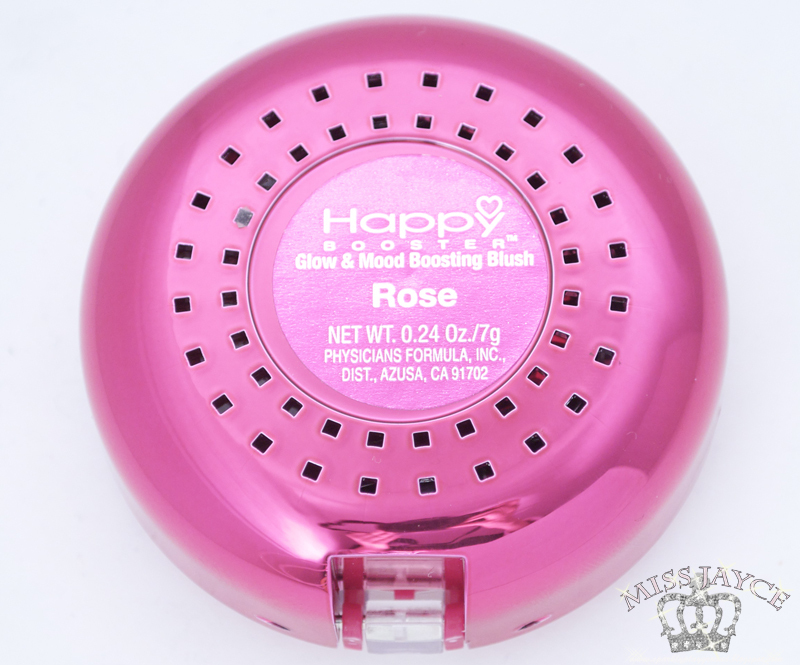 Price for the blush is a bit steep considering it is a drugstore brand especially if you are buying it from Canada. So make sure you compare prices and look for mail in rebates when purchasing! 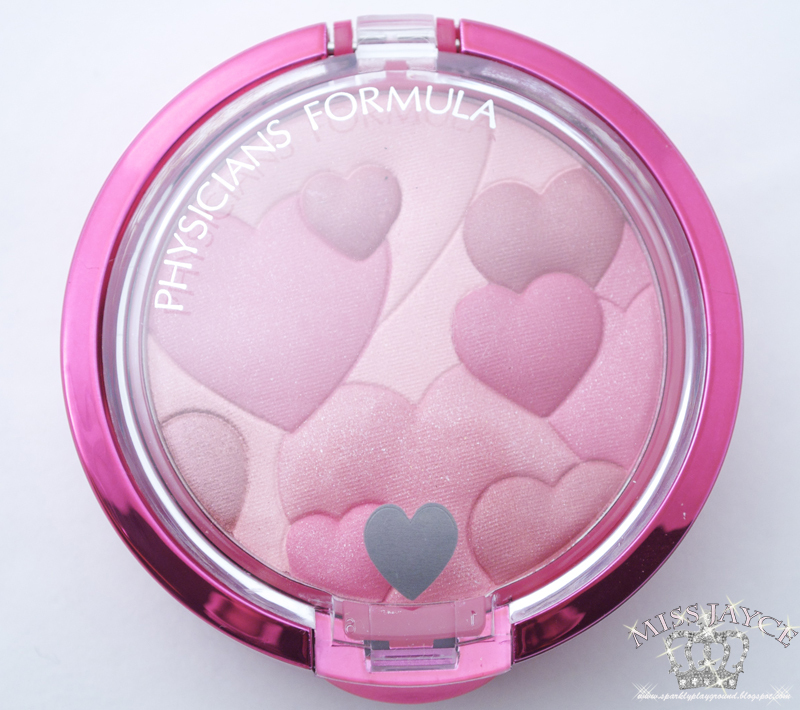 Packaging: 4/5 ♥ Love love love the heart and all its cuteness. Brush was not forgiving. 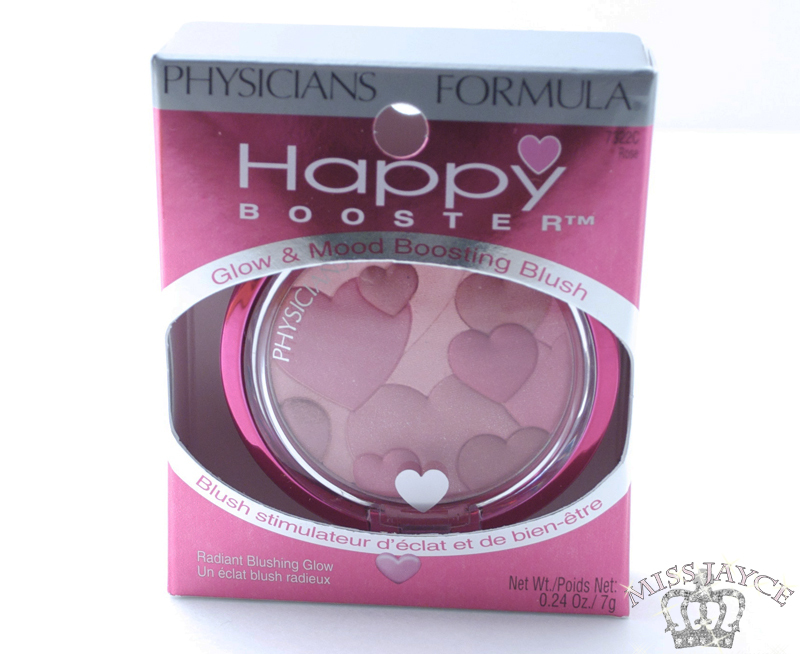 Price: 4/5 ♥ A little pricy for a drugstore brand.